According to J.L.E. Dreyer in the IC, this object was discovered by Max Wolf in 1906, who describes it as faint and extremely large (IC description). It was one of the galaxies who were early recognized as Local Group members, by Walter Baade (1928), because it could be resolved into individual stars; Baade estimated it to be at a distance comparable to that of NGC 6822. 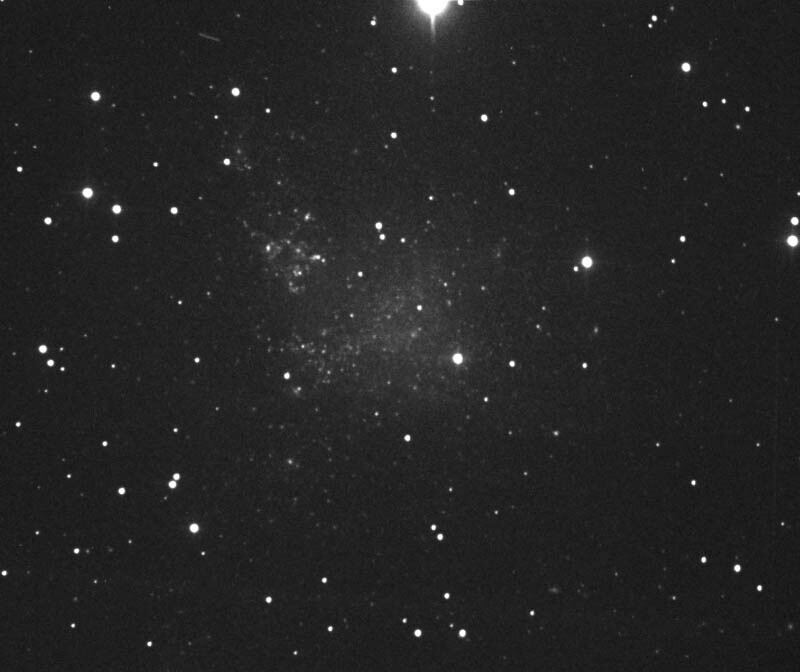 For a long time, there were no clusters found in the dwarf irregular galaxy IC 1613, as remarked first by Baade in 1950. The puzzle was only solved in 1978 when about 43 tiny objects were found. 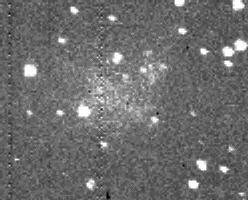 Of these, 25 are probably very small star clusters. Also, only 11 timy dust clouds have been discovered, and background galaxies can be well seen through the galaxy, an indication for only small amounts of dust within it. Why the amount of interstellar dust is so little and the clusters are so small remains a mystery (Hodge 1986). The image of IC 1613 in our page is from Greg Bothun's collection at the University of Oregon. Martin Germano's image of IC 1613. Credit: Martin Germano. Hodge, Paul, 1986. Galaxies. Harvard University Press, p. 91-92.